At Crescent Plumbing, Heating & Drainage we pride ourselves on a job well done! There are so many repairs that home and business owners can do themselves, but plumbing, heating and drainage should not be a “do it yourself” project. Your property is a sound investment and it’s worth your while to have a dependable, reliable professional complete the tasks at hand. 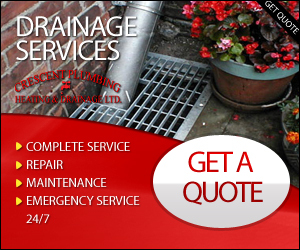 Plumbing heating drainage services. Residential ~ we do all residential plumbing, including the plumbing in a new home. For the past 5 years, we have done 150 new homes in the Vancouver area. 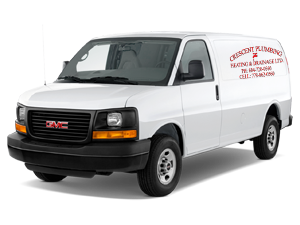 Commercial ~ we do all commercial plumbing, from warehouses to basements, and everything in between. Toilets, sinks, showers, bath tubs, garboraters, etc. With that understood, be sure to turn to Crescent Plumbing, Heating & Drainage every time you require these expert services. We have the expertise you’re looking for. We are a licensed, fully bonded and insured company. We are a reputable company, professional in all aspects of plumbing repair and plumbing installation – from simple repairs such as replacing hot water tanks to advanced plumbing jobs, full service heating requirements and all drainage issues. We aim to be your premiere service providers. Our goal is to always meet or exceed your expectations. 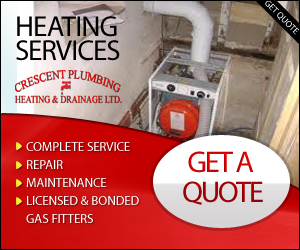 Plumbing Heating & Drainage Services. 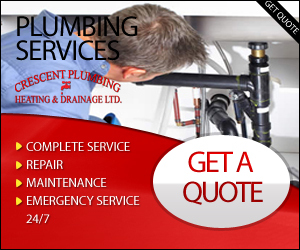 You can be assured you will receive superior service when you call Crescent Plumbing, Heating & Drainage. We hire only skilled professionals who are industry trained to handle all manners of work. Our technicians are fully prepared for every job we encounter. Our reputation for getting the job done right the first time means you can always count on receiving the best service available in the area. Our expert technicians can be dispatched without delay any time you have an emergency! We can appreciate the urgency you have with the situation, and we always respond accordingly. From plumbing installation, heating and drainage problems and everything in between, Crescent Plumbing, Heating & Drainage the will be done promptly and professionally at a fair cost. Whether your home, commercial building, revenue property is new or old, we are here to help. We believe we provide the best services in the Lower Mainland. For more information, contact us today.